Directed by Rachid Dhibou, Jimmy Jean-Louis. France/Nigeria. 55 min. Nollywood, Nigeria’s film industry, is second only to India’s Bollywood in terms of the number of films produced annually. Yes—that places it is ahead of Hollywood. 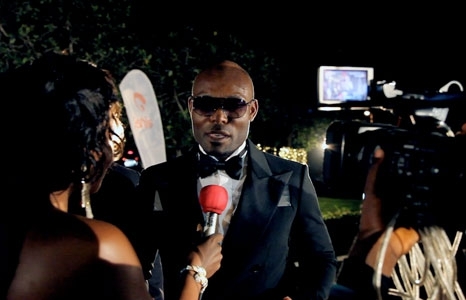 When Haitian-born actor Jimmy Jean-Louis (Heroes, Phat Girlz, Toussaint Louverture) lands in Lagos to co-host the Africa Movie Academy Awards, he decides to record his experiences. He takes us into the heart of a burgeoning industry in an Africa full of confidence. Featuring interviews with actors Hakeem Kae-Kazim, Isaiah Washington, Majid Michel, Ebbe Bassey, and O. C. Ukeje, as well as insight from some of the directors and producers behind some of Nollywood’s biggest hits, Jimmy Goes to Nollywood playfully explores the history of Nigeria’s raucous, fast-growing film scene, and looks to the next generation of storytellers who are engaging global audiences and putting Nigerian cinema on the map.